The DNA Internship Technical Assistance Program (TAP) at Marshall University offers the forensic science community low-cost, pre-trained graduate students skilled in performing customized internal evaluation and validation of DNA technologies based on client specifications. Students are qualified as Technical Assistants upon meeting lab competency requirements. Their knowledge and skills include, but are not limited to; instrumentation, commercial kits, manual and automated laboratory methods, and software programs common to most DNA Crime Laboratories. 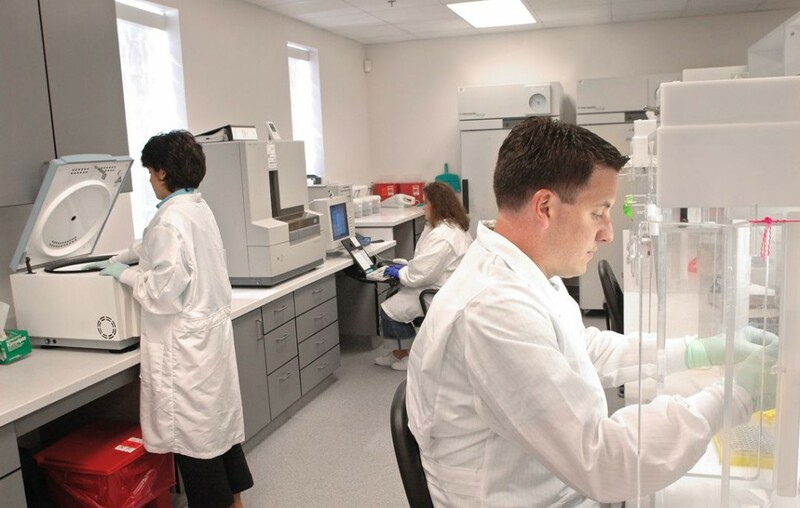 The Marshall University Forensic Science Center (MUFSC) can provide one or more Technical Assistants with technology-specific training and education to meet your laboratory’s evaluation and validation needs. This 12-month program begins with each student receiving training during the fall and spring semesters. Each student completes this rigorous 9-month training program in our state-of-the art facilities. After satisfying lab competency requirements, the Technical Assistant will be prepared to successfully complete the project of your design on-site in your lab for 3 months (a maximum of 12 weeks). Internships are available summer semester only for 10-12 weeks. Technical Assistants are carefully selected graduate students currently enrolled in Marshall University’s FEPAC-accredited Forensic Science Graduate Program. Each Technical Assistant has met rigorous academic admissions criteria as well as successfully completed a standard Marshall University Background Check prior to participation in the TAP program. To apply, complete the Technical Assistance Program (TAP) Request PDF and submit electronically, via fax to 304-691-8929, or by standard mail. Information from the Technical Assistance Program (TAP) Request PDF will be used to set up conference calls to determine if an appropriate “fit” exists between your project and our capabilities. We will work with your laboratory to design a customized training program for the Technical Assistant. Please submit requests early so we may begin training technical assistants based on your specifications. Requests made from June to December will be considered as they are received. Fees may apply to certain services. DNA Internship TAP requests will be considered as they are received. Please apply prior to December to receive a Technical Assistant for the following summer. MUFSC’s DNA laboratories are accredited by ANAB as an ISO-17025:2005 and FBI QAS conformant testing lab for biological screening, databasing, casework and relationship testing. Its FEPAC accredited forensic science graduate program is nationally recognized. This unique blend of educational programs and forensic DNA testing laboratory makes MUFSC an ideal organization to provide technical assistance to public and private labs.